Thirty years ago this week, the Swedish band Europe released their 3rd studio album The Final Countdown on May 26. It was a huge commercial success and still their best selling album to date with over 7 million units sold worldwide. Three singles from the album charted within the Top 30 on the US Billboard pop chart which were the firsts for the band. Kevin Elson produced the album who also produced several albums for Journey. The album also launched a massive world tour which lasted from April 1986 through May 1987. The tour included their first in America which was filmed and became the documentary Europe in America which was released to home video. 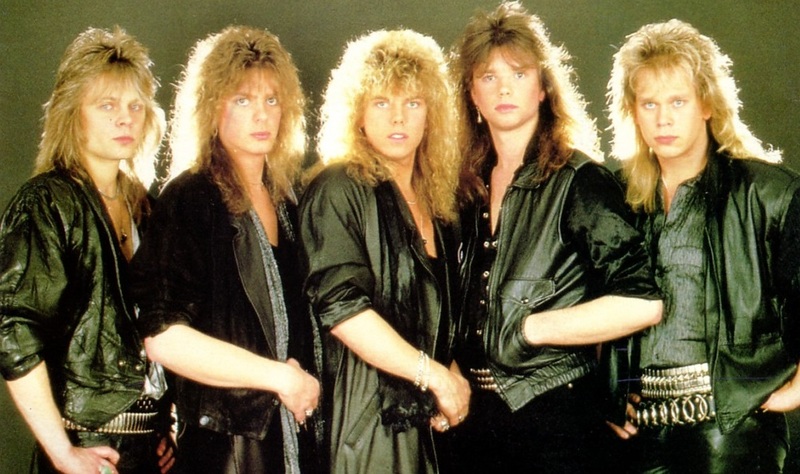 The album's title track "The Final Countdown" was a breakthrough hit in every sense of the word. It would reach the top of the charts in 25 different countries (#8 in the US) including their native Sweden an the UK. The track's lyrics were inspired by David Bowie's "Space Oddity" and was performed by all band members past and present in Stockholm on New Year's Eve in 1999. "Rock the Night" was the 2nd single released but first appeared on the EP for the 1985 Swedish film On the Loose along with its title track. It fared well on European charts but peaked only at #30 in the US. The rock ballad "Carrie" was the 3rd single and their highest charting hit in the US to date which peaked at #3 on the Billboard pop chart. Lead singer Joey Tempest and keyboardist Mic Michaeli co-wrote the song which was originally recorded with just vocals and keyboard. The 4th and final single "Cherokee" only managed to chart in the US, peaking at just #72. I've never personally owned the album and listening this week will actually be a first discovery of all the tracks. "Carrie" was featured on a compilation album I own titled Monster Ballads which I wore out in my late college days. I also remember owning the 1995 compilation album ESPN Jock Rock Volume 2 which featured "The Final Countdown"
Rediscover The Final Countdown this week on its 30th anniversary via YouTube below or subscribers can listen to the full album for free on Amazon Prime music. You can also join me by posting your favorite tracks or memories in the comments.